At a press conference conducted in the Cullman Hall of Universe of the Frederick P. Rose Center at the American Museum of Natural History—an institution dedicated to discovering, interpreting, and disseminating knowledge about human cultures, the natural world, and the universe—Stephen Hawking delivered a congratulatory address and personal message to the winners via video. 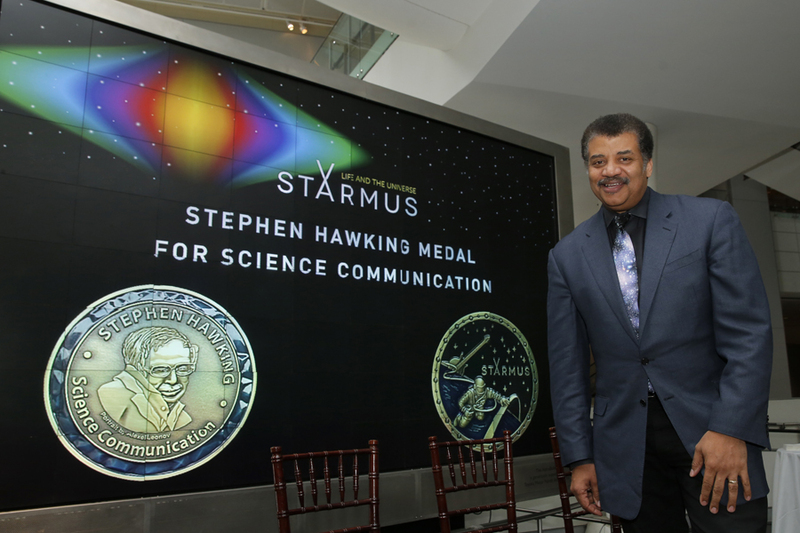 The prestigious Stephen Hawking Medal recognizes the outstanding contributions to science communication and public awareness through different disciplines such as Science Education, Music, Arts and Film. Previous winners include composer Hans Zimmer for a lifetime achievement in music, Marc Levinson for documentary Particle Fever and physicist Jim Al-Khalili for science writing. The Stephen Hawking Medal will be awarded at a ceremony in Trondheim, Norway, on June 20, with the eminent professor on stage. Dr. Neil DeGrasse Tyson is noted for his exceptional and unique capacity to communicate science through his popular TV shows, books, interviews, and lectures. His efforts have helped popularize science around the world – bringing new enthusiasm and interest to many disciplines within science. Jean-Michel Jarre has been one of the pioneering forces throughout the electronic music scene over the last four decades. With over 80 million albums sold worldwide to date, Jarre is known not only for his music but also for his singular vision and creation of outdoor concert experiences. Jarre's music has been closely linked to space, including the memorable one-off, city-scale concert in Houston, Texas, in 1986 for NASA’s 25th anniversary and in a moving commemoration of the Challenger Mission, attended by more than 1.3 million people. “It is indeed a truly great honor to have been chosen by Professor Hawking and the Starmus board to win this year’s Stephen Hawking Medal for Science Communication, for my music. Since I composed Oxygene 40 years ago as a manifesto for climate change and as an alert for the awareness of the future of our planet, my music has been very much inspired by, and linked to, space, time and science. 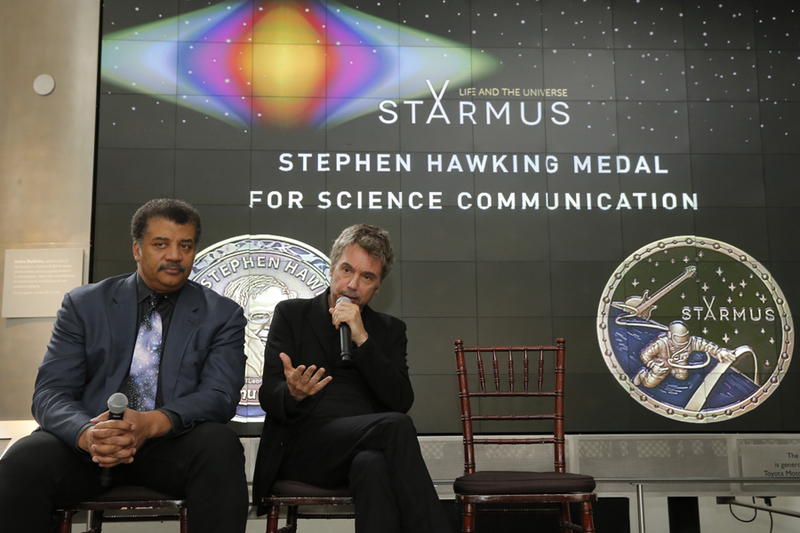 I am proud, yet humbled, to receive this medal in recognition of my work,” said Jarre. In recognition of its commitment to science education, the show, producers and cast recently created “The Big Bang Theory” Scholarship Endowment at UCLA. “The Big Bang Theory” Scholarships are awarded to students pursuing higher education in the fields of Science, Technology, Engineering and Mathematics (STEM) at UCLA, and are awarded based on financial need to low-income students who have earned admission to UCLA on their own academic merit but need additional support to bridge the gap between typical levels of financial aid and the cost of attendance. The scholarship was awarded to 20 incoming students in the inaugural 2015–16 academic year, with five additional scholarships to be awarded every year in perpetuity. 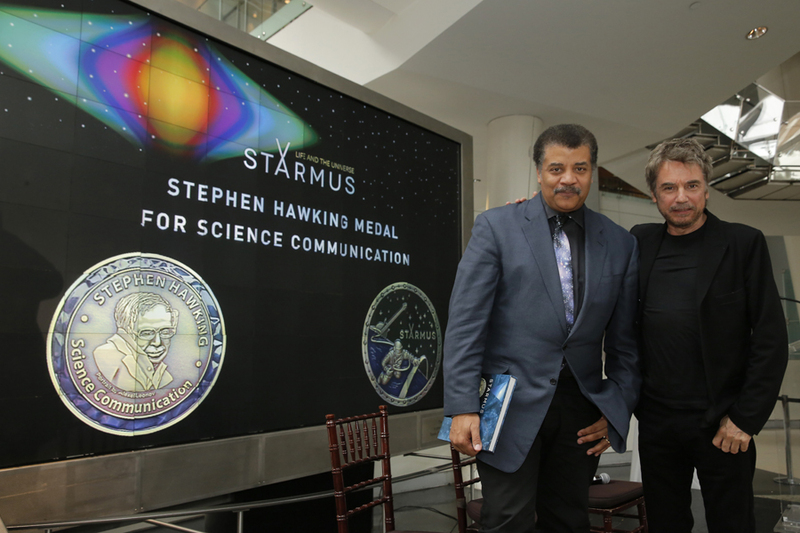 The Starmus board consists of Stephen Hawking, Brian May, Peter Gabriel, Richard Dawkins, Alexei Leonov, Jill Tarter, Robert Williams, David Eicher, Jack Szostak and the festival’s founder, Garik Israelian – great minds who have devised an incredible programme, recruiting the most intelligent, creative and artistic beings on the planet. 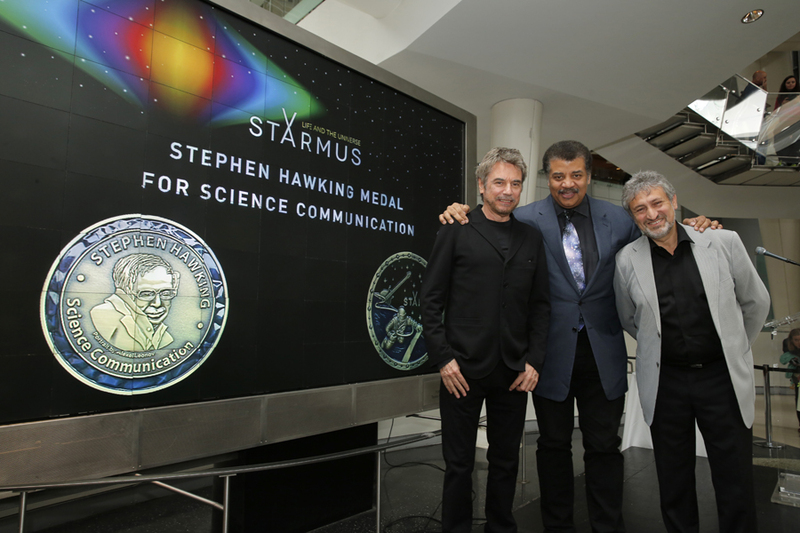 “Starmus is an important and unique interdisciplinary festival of people working in different fields—astronomers, astronauts, cosmologists, physicists, philosophers, musicians, artists, biologists etc., who share an interest in the universe, how it began and is now and how we may explore and use its many facets,” said Professor Stephen Hawking. The American Museum of Natural History, founded in 1869, is one of the world’s preeminent scientific, educational, and cultural institutions. The Museum encompasses 45 permanent exhibition halls, including the Rose Center for Earth and Space and the Hayden Planetarium, as well as galleries for temporary exhibitions. It is home to the Theodore Roosevelt Memorial, New York State’s official memorial to its 33rd governor and the nation’s 26th president, and a tribute to Roosevelt’s enduring legacy of conservation. The Museum’s five active research divisions and three cross-disciplinary centers support approximately 200 scientists, whose work draws on a world-class permanent collection of more than 34 million specimens and artifacts, as well as specialized collections for frozen tissue and genomic and astrophysical data, and one of the largest natural history libraries in the world. Through its Richard Gilder Graduate School, it is the only American museum authorized to grant the Ph.D. degree and the Master of Arts in Teaching degree. Annual attendance has grown to approximately 5 million, and the Museum’s exhibitions and Space Shows can be seen in venues on five continents. The Museum’s website and collection of apps for mobile devices extend its collections, exhibitions, and educational programs to millions more beyond its walls. Visit amnh.org for more information.